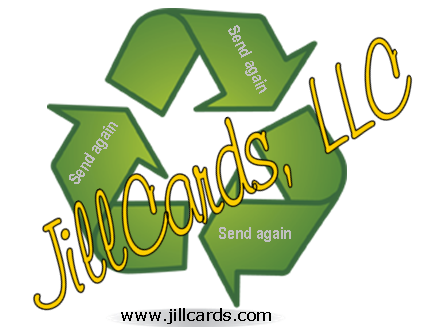 Posted on September 27, 2011, in General, Greeting Cards and tagged Business, Card Making, Crafts, JillCards LLC, Recovery, Recycled, Send again, Wedding Invitations. Bookmark the permalink. Leave a comment.